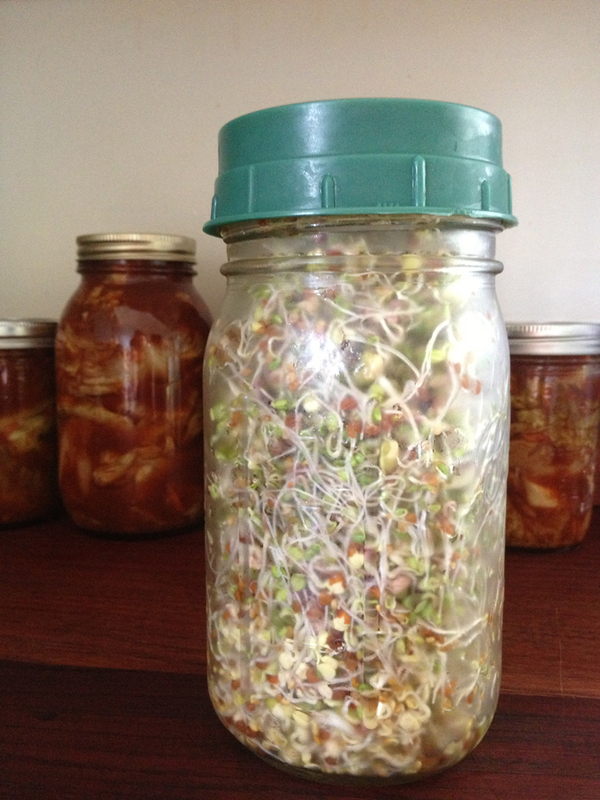 I love salads, and I love sprouts, so sprouting grains should be a no-brainer for me. I’m home all day so I have plenty of time to rinse grains and shake a jar from time to time, yet I didn’t get around to actually trying to sprout grains until this week. I must have suffered from the misconception that it would be time consuming, and I hadn’t prioritized it as a new kitchen project until I saw one of those fun mesh lids at the Ukiah Natural Foods Co-Op. From there I hit the bulk spices section where they have a truly impressive collection of grain-sprouting options. I opted for “salad mix” and took my goodies home. It’s ridiculously easy. Here’s how you do it. 1) Put 1/3 cup of your chosen grain or mix in a quart-size jar. 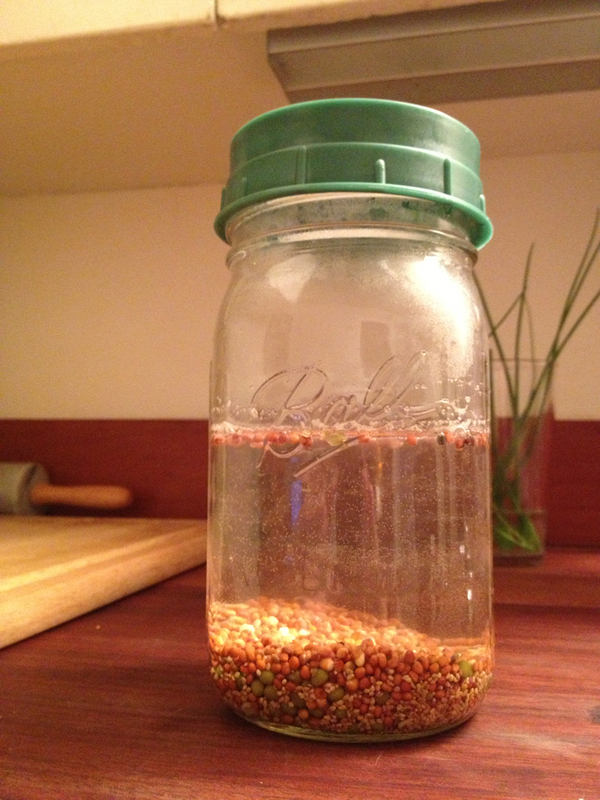 (You can find sprouting grains at your local co-op or make your own mix from seeds. Also, apparently red lentils make delicious sprouts.) Top it with a mesh lid, or if you don’t have one, use a square of fabric with the ring screwed over it. 2) Soak in warm water and leave overnight. 4) Refrigerate and eat! Should keep for a week or so.